Dimensions: 48 Inches Wide, 48 Inches Deep, 30 Inches High. 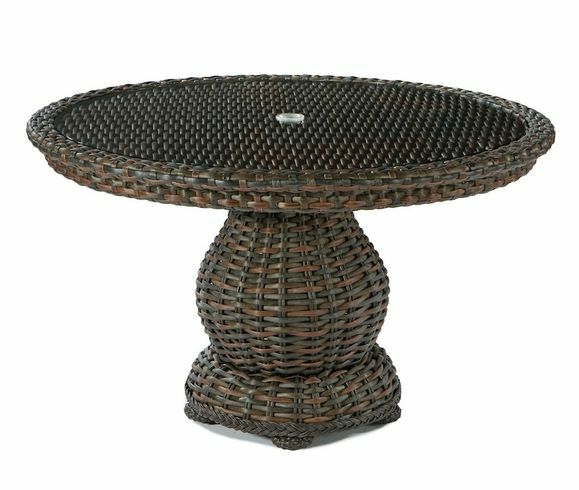 South Hampton 48 inch round glass top dining table. Seats four and has an umbrella hole. 48 Inches Wide, 48 Inches Deep, 30 Inches High.